Researchers from the University of Zurich, have created neuromorphic chips that can mimic the way a human brain will process information in real-time. 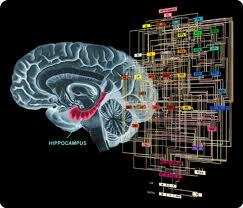 With the assistance of an artificial sensory processing system, these chips are able to display cognitive abilities. With the creation of artificial neuromorphic neurons that can perform specified tasks, the researchers are able to further advancement toward a complex sensorimotor that can complete tasks in real-time. Shockingly, behavior can be replicated by input formulated in a finite-state machine that could be transferred into neuromorphic hardware. Researchers at the University of Berkley have suggested implanting mind-reading “neural dust” into human brains to facilitate connectivity of man to machine. The Royal Society, in conjunction with Academy of Medical Sciences, British Academy and Royal Academy of Engineering came together this month to discuss the potentials, opportunities and challenges of the melding of man with machine (i.e. 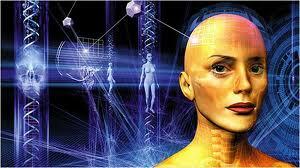 transhumanism) under the guise of augmentation technologies. At the Human Enhancement and the Future of Work conference, and further expanded upon in their published report, explains how science and ethics are coming into conflict as technology promises to replace the faulty human body with an eternal, mechanical replacement. These transhumanists favor the Singularity Summit, an annual extension of the Singularity Institute wherein robotics, artificial intelligence, brain – computer interfacing and [various] emerging technologies” into genetics and regenerative medicine are examined under the perspective of transhumanism. The concept of the neo-human and neo-humanity is the replacement for a post-industrial capitalist and consumer-based society where a new form of civilization will emerge. Enter your email address to follow Brain Computer and receive notifications of new posts by email.